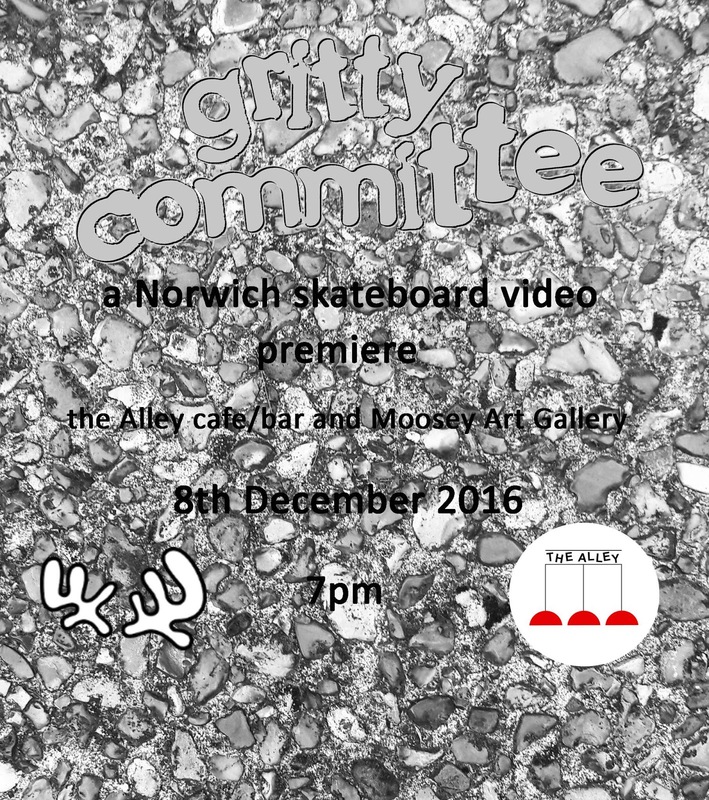 Michael Casey's Norwich scene video "Gritty Committee" is due to premier tomorrow (08/12) at the Alley Cafe Bar/Moosey Art Gallery in Norwich. 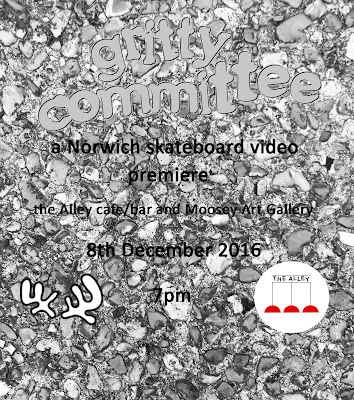 The video features sections from Ross Barber, Chris Yeomans, Ben Rowley, Myself (Rob Salmon), Michael Casey, Dempsey and plenty of others. Ross Barber switch bs 5 0, Norwich. Ben Rowley gap into the bank, Norwich.